You’d think, since graphic design is my profession and it was my official field of study in school, that I would be a master of design history. Movable type was actually invented around 1045 by a Chinese alchemist named Bi Sheng, who used first wood and then clay to make type. Johannes Gutenberg was the first European to use movable type, introducing it in 1439 and creating cast metal type. The term ‘graphic design’ was coined in 1922 by William Addison Dwiggins, an American illustrator, type designer, calligrapher, and book designer. The Pantone Matching System for color was invented in 1963 by Lawrence Herbert, who went to school for chemistry and biology. The idea for the first physical and pictorial message sent into space (1972) was a collaboration between astronomers Carl Sagan and Frank Drake, but the artwork itself was actually produced by Sagan’s wife, Linda, an artist and writer. It’s called the Pioneer Plaque. The original Macintosh icons (1980’s) were designed by a woman, Susan Kare. Many of those same visual metaphors are still in use today. The founders of Adobe (John Warnock and Chuck Geschke) named their company after a creek that ran behind Warnock’s house in Los Altos, California. The Adobe logo was designed by Warnock’s wife, Marva, a graphic designer. The world’s first website was launched in 1991. It wasn’t much to look at. No graphic designer had been awarded the National Medal of Arts until 2010, when it was presented to Milton Glaser. Were you familiar with any of these already? 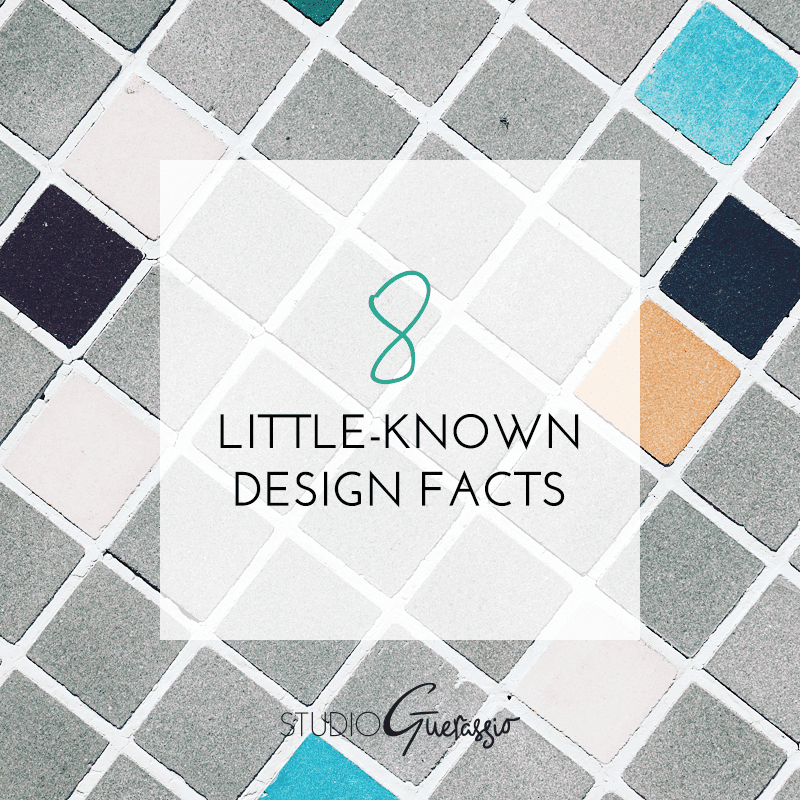 Have you come across any other interesting design facts or tidbits? Do share!